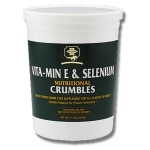 Combines vitamin E and selenium for optimum muscular health. Appropriate for horses exerting severe physical effort. 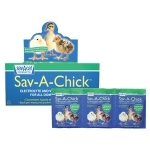 Vitamin E and selenium to enhance proper absorption of vitamin E. Provides 625 I.U. 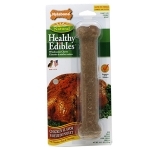 of vitamin E and 1 mg of selenium per 1/2 oz. Available in 2.5 lb and 20 lb sizes. Great-Tasting, gluten-free formula made of natural ingredients with no plastic, no added sugar or salt and no artificial color. Enhanced with functional ingredients like vitamins and minerals. 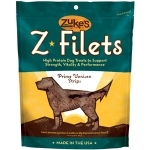 High-protein dog treats to support strength, vitality and performance. 3.25 oz. bag. 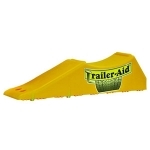 Excellent for lawn seeding, gardening and landscaping. 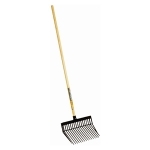 Great for use in lawns, flower and vegetable gardens, shrubs, trees and evergreens. A natural fly repellent that’s eco-safe for the entire family and the environment. 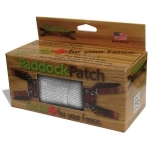 For use on horses, ponies, foals, and dogs. Available in quart and gallon sizes. A revolutionary formula and a technological breakthrough for strengthening manes, tails and hooves. 16 oz. A botanical oil-free, silicone-free, leave on conditioning spray that maintains the moisture balance within the hair shaft. 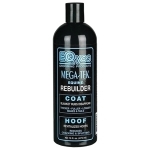 Prevents the mane and tail from becoming dry, brittle and breaking off. 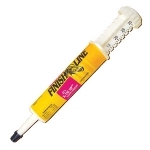 SBS Crack Filler Kit has excellent adhesive qualities. 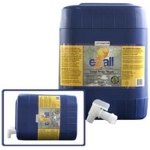 It is impervious to water, urine and other contaminants. When cured, SBS Crack Filler becomes part of the hoof wall so that it can be rasped and trimmed like a natural horn. Milorganite has been trusted by golf course professionals and homeowners for over 85 years. 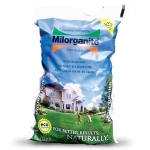 Milorganite is the choice for slow-release organic nitrogen and other essential nutrients like 4% iron that help grow the best turf and the tastiest gardens. Milorganite is worry-free because it contains virtually no salts, so it never burns - even in the hottest temperatures and driest conditions. 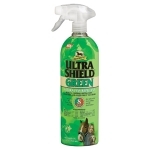 Bathe your horses, cattle, dogs, cats, sheep, pigs, llamas, goats and other animals naturally and quickly. 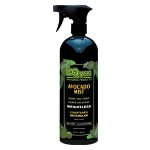 You’ll see amazing results when you spray on this concentrated natural shampoo. In minutes, dirt loosens and is ready to be rinsed away-without scrubbing! 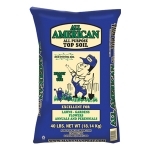 Prevents crabgrass and fertilizes in one application. Non-staining, clear, odorless vs. bright yellow, highly staining competitors. Slow release nitrogen for extended feeding. 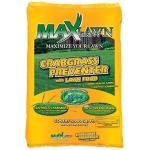 MaxLawn®Crabgrass Preventer can be applied four weeks later than other crabgrass preventers. Excellent early post–emergent control that helps control summer annual weeds. 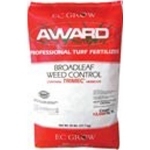 Award 22-0-5 Professional Turf Fertilizer with Trimec is designed to provide a boost of nutrition for turf as well as great post-emergent, broadleaf weed control for a large variety of broadleaf weeds. Use premium blended NPK fertilizers with quality herbicides for all your broadleaf control needs. 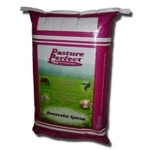 Renovator Special Mix was designed for renovating pastures or hay fields. 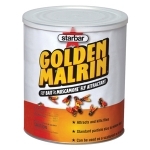 The mix adds very palatable and high quality grasses into the pasture with quick return. Many farmers and horse owners have grazed as early as six weeks after sowing Renovator Special. The larvicidal treatment for optimum parasite control. 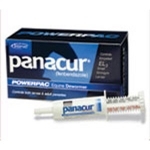 PANACUR® POWERPAC has a high degree of efficacy against all stages of encysted (hypobiotic) small strongyles. Convenient, oral administration with a unique (artificial) apple-cinnamon flavor. 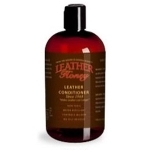 A leather conditioner is a liquid solution that is designed to make leather last longer. 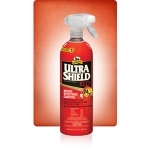 It is applied to rejuvenate the look of leather and make the material softer and more flexible. If you are interested in protecting your new leather products, or saving older damaged leather items, using a leather conditioner is crucial. But all leather conditioners are not created equal, and the best formulas are capable of not only protecting leather, but revitalizing old and damaged leather products. JC's X-TIE UP® - Anti Tie-Up product, muscle aid and pre-race boost! JC's X-Tie Up® is also a fabulous aid to improve muscle function in those horses that don't tie-up. JC's X-TIE UP® helps your horse move smoothly with softer muscles and recover better. JC's X-TIE UP® helps the dressage horse to move with more cadence and softness through the body, the jumper to move and jump more effortlessly, and the racehorse to be more explosive and recover better.